Mera debuted in the Silver Age of comics and makes her appearance on the Silver Screen, portrayed with equal parts elegance and toughness by Amber Heard. 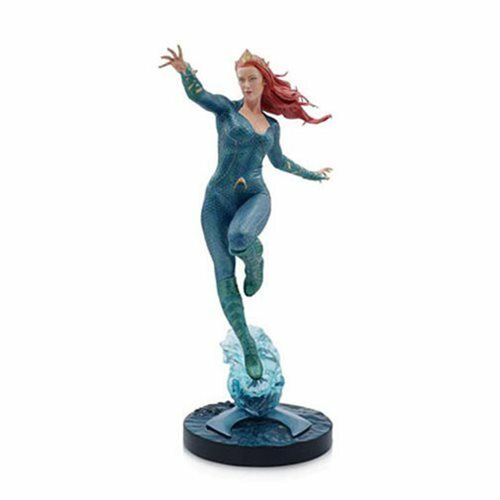 This sculpting shows evokes the dynamic grace of Mera as she emerges from the sea, ready for anything the surface or oceans would put in her way. Based on the Aquaman movie, this Aquaman Movie Mera Statue is a highly detailed 12-inch scale polyresin statue that is carefully crafted to match likeness to the character from the film. From kings of Atlantis to the fiercest foes of the deep, this statue captures all the action and thrills from the big screen.